I have been asked on more than one occasion what our soil was like, and the comment was made that it must be pretty good to be able to grow all the things I do. No, no it isn’t; our soil is what I would describe as ‘rubbish’. 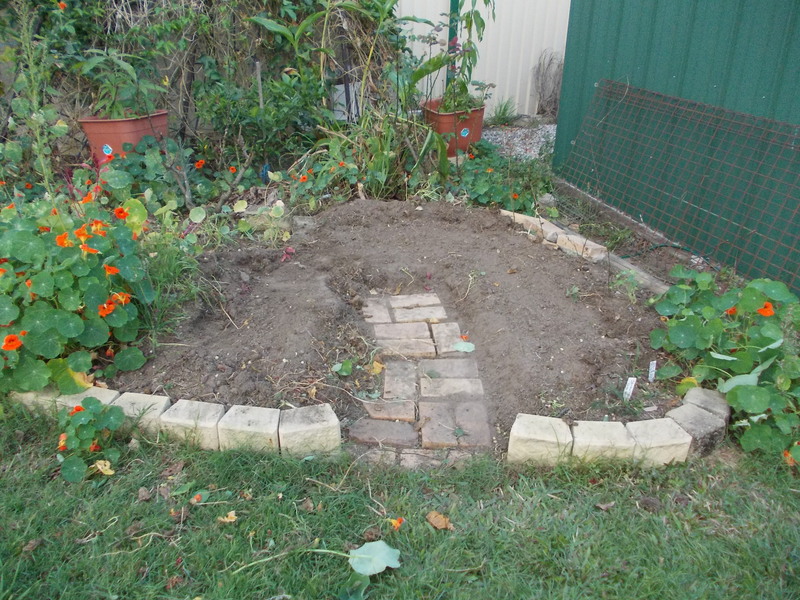 Having dealt with hard-packed clay soil at our old place, when we first moved in to our current house, I took special note of the soil when we dug any holes, and dug a few extras in different areas to see if there were good patches and bad*; nope, all fairly uniform, and certainly not in the ‘good’ category. I found that there was basically no humus layer or any kind of decent soil on top at all, that it didn’t matter how far down I dug, it was all the same with no identifiable horizons at all. This lead me to strongly suspect, knowing that our area used to be a lettuce farm and therefore should have had ok soil, that when the area was developed, the developers scrapped off the topsoil and sold it separately, leaving behind a dusty, hydrophobic subsoil. Of course, me describing my soil in such a way was met with sheer disbelief, but it is the main reason why my vegie patches are all raised beds, why a lot of the other plants I grow are in pots and why I have 4 compost bins, 2 bathtub-sized worm farms and buy in countless bags of manure (we have a lot of horses locally, and the nearby school used to have cows as part of their ag program) and cane mulch in a wild hope that I can get some nutrients and structure back into my ‘patch of dirt’. 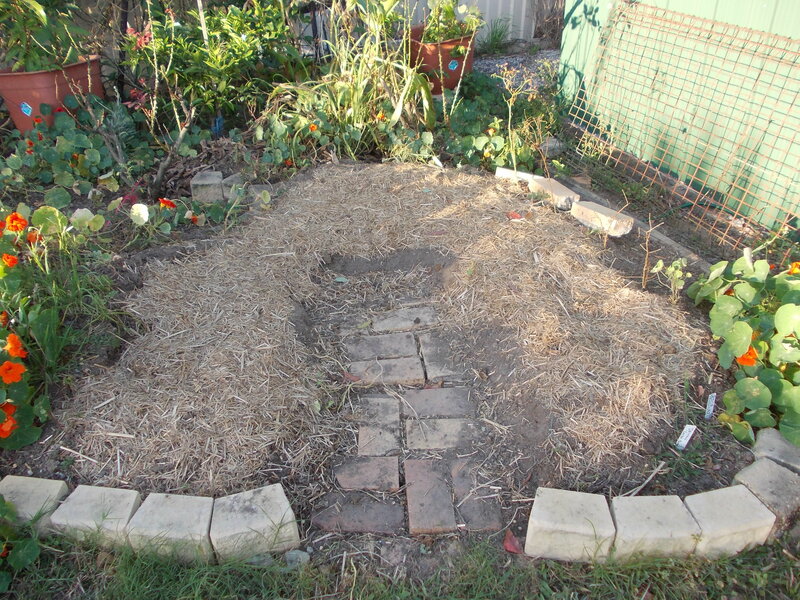 And this hole is in an area that has been looked after: it’s in behind the lemon (to the left), downhill from the water-vegie-bathtub outflow, and has been mulched and manured, and watered regularly, in the 4 years we’ve been in this place. And it’s still practically devoid of organic matter and takes ages for water to soak in (even with the addition of seasol). If I can ever get water to soak in and stay there. The above photo was taken after I’d removed about half of the height of the soil, reducing the slope of the garden in the hope that water wouldn’t run off as quickly. 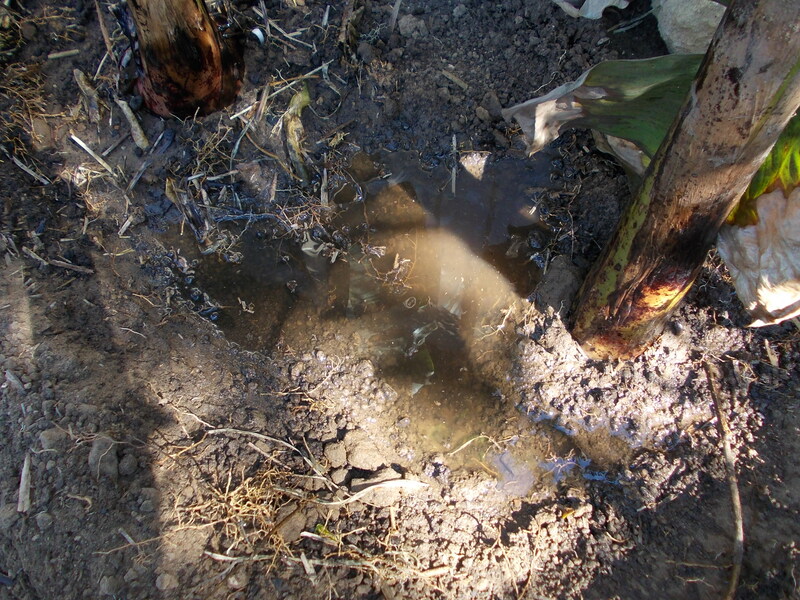 At the point when this second photo was taken, I had made a trench around the top and a bund on the downhill side to try to trap as much water as possible before it ran away, then slowly watered the area with water and seasol, left for a bit, watered again and mulched, then watered again. 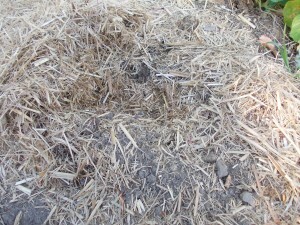 Since then, I’ve been watering it each day, and the mulch gives the impression of keeping the area moist, but if you scrape away the top few millimetres of soil, it’s still bone dry underneath. And this is after having dug in heaps of compost and mulching with composted manure last year for the pumpkins and corn grown here. 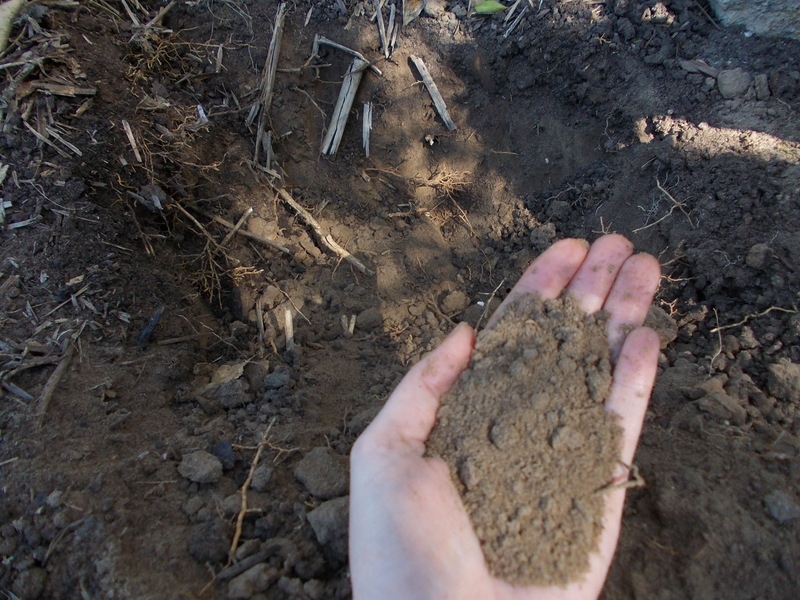 This soil just doesn’t hold organic matter, or water; if the rain goes in at all, it goes straight through and takes the nutrients and organic matter with it. 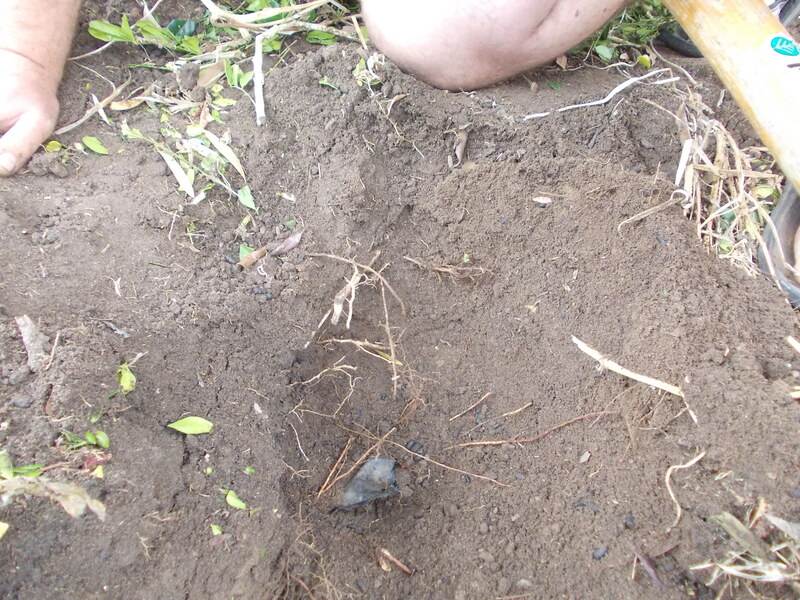 UPDATE: We dug up the largest of our cassava last weekend (19 September 2015) and rediscovered something about our soil that I’d completely forgotten about: the black plastic. Yes, that’s right. When we moved in, every hole we dug to plant something, we found black plastic. 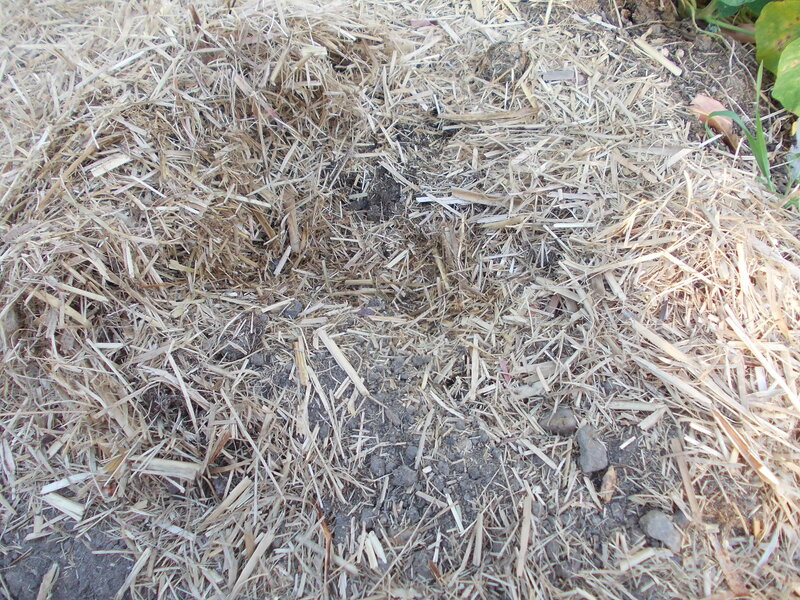 And I don’t mean the sheeting that used to be thought of as ‘weed matting’, to be lain down on the surface and covered with mulch, I mean 20-50+cm under the surface (refer photo below), and often several layers at different depths, all of which had to be dug out and removed if I had any hope of my plants surviving. It was also underneath the now fully-grown lemon myrtles and was therefore encasing and strangling the poor trees’ roots, limiting them to tangled masses close to the surface; little wonder they struggled in our drought a few years ago! Over the years, we have removed BAGS of the stuff, and it looks like I’m going to have to attack the cassava bed again to remove yet more before we put the next planting in there. 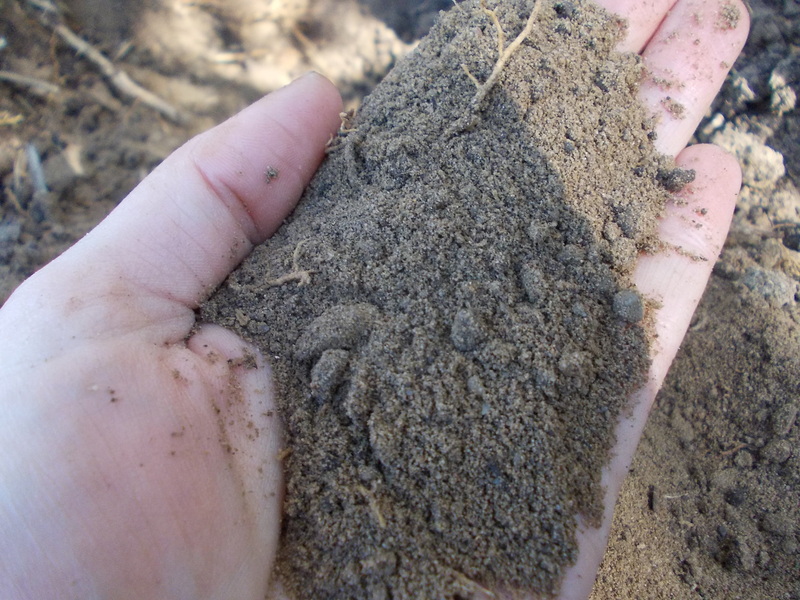 * some quick definitions for ‘good’ and ‘bad’ soil: you probably won’t find official definitions because this is very subjective, but to me ‘good’ is soil that is rich in organic matter, is free-draining and friable, has a slightly acidic pH (6-6.5ish) and has a good level of nutrients and water-holding capacity. ‘Bad’ is typically the opposite of this: sandy or dusty and hydrophobic with limited or no organic matter or nutrients. 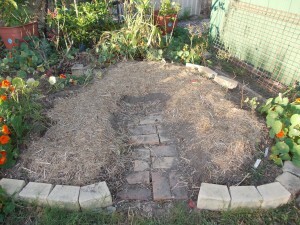 This isn’t to say that ‘bad’ soil can’t be improved, it just takes time and persistence. If you’re wanting a quicker and more satisfying result in areas with ‘bad’ soil, it’s probably best to opt for raised beds and/or containers so you can ensure that your plants are getting the nutrients and water they need to give you a good harvest.